The scientific exploration of Mars might yield results of extraordinary importance for our own planet, particularly the search for extant or fossil Martian life, which would make it possible to understand terrestrial life in a more profound way. This potential scientific treasure places on us an ethical obligation to minimize the disruption of the Martian environment until our scientific exploration has been greatly advanced. 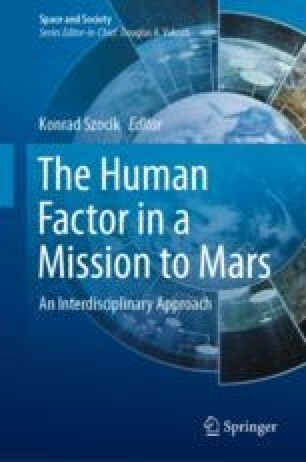 We also have ethical obligations to the human scientific explorers of Mars, ethical obligations that require a series of scientific investigations, e.g., about how the low Martian gravitation may affect those explorers’ physiology. Luef, B., Frischkorn, K. R., Wrighton, K. C., Holman, H. N., Birarda, G., Thomas, B. C., Singh, A., Williams, K. H., Siegerist, C. E., Tringe, S. G., Downing, K. H., Comolli, L. R., & Banfield J. F. (2015). Diverse uncultivated ultra-small bacterial cells in groundwater. Nature Communications. https://doi.org/10.1038/ncomms7372. National Academies of Sciences, Engineering, and Medicine. (2018). Review and assessment of planetary protection policy development processes. Washington, DC: The National Academies Press. https://doi.org/10.17226/25172. Squyres, S. (2009). Quoted in Space.com. https://www.space.com/6972-steve-squyres-robot-guy-humans-mars.html.